"The Will of God is Good"
during the Easter 1961 Class in New York, New York, U.S.A.
"You have made the Decree in the Fiat 'You have no power! You have no power! You have no power! God Almighty is the only Power that can act!' and some say: 'We have made this Decree, why is not this condition completely rectified?' Blessed and Beloved Ones, remember that mankind still have free will. If it were not so, I would have told you. For as Chohan of the First Ray and representative of the Will of God, I am concerned with human will that it become Divine Will. And therefore, having free will, individuals still exercise their prerogative and they choose to turn aside from the Great Law of God of their own volition, not often knowing what they do. And therefore, the Will of God is flaunted by them although in their Heart of hearts they often intend to do the Will of God. "This paradox shall remain. And therefore, because individuals daily create misqualified energy, although you could make Decrees all night and twenty-four hours a day, serving twenty-three hours a day with Beloved Archangel Michael, and sweep the Earth clean of all human creation, yet the very next day with the dawn's coming mankind would once again begin to create the human discord. And therefore, these vortices of energy are real and tangible, and they must be avoided. Helpless individuals, feeling impulse from these whirling vortices of sinister energy, have committed gross crimes which among mankind are chronicled as being very evil. Blessed and Beloved Ones, forgive them; they know not what they do. 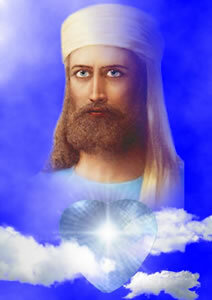 "These individuals have yielded themselves not knowing of the great Power of the Violet Fire, not knowing of the Tube of Light, not knowing of the Ascended Masters. These individuals have supposed that these impulses to do wrong which came to them were overpowering and did not give allegiance to God and did not call properly, they were not relieved and were unable to escape from these situations. 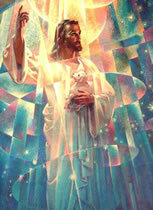 We do not want the students of Light to be a victim in like manner, nor would we have any among mankind become victim. The conditions in Africa today are the result of human creation, but no more so than in any other part of the world; for human creation is created by every land upon the face of the Earth, and they all need the Power of the Violet Fire. 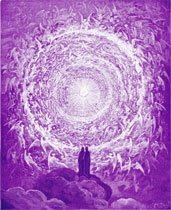 "During the last Class, Messages came forth from the Goddess of Light, from Holy Amethyst, and from many Others advocating a revival, a tremendous accent to be placed upon decree groups for Violet Fire. I am thankful that throughout the world some response has been evoked, and . . . constructive activities have gone forth for the protection of this planet. But, Blessed and Beloved Ones, you do not win a battle overnight. This is a continual battle for the Holy Spirit - that the Holy Spirit of God may have untrammeled access into the consciousness of man, and that man will learn that God is Good, that His Will is Beautiful and Marvelous to behold. "Here in Darjeeling we have a number of chelas who come to us who are required to meditate for twelve hours a day upon these simple words: 'The Will of God is Good.' And then they are examined by certain examiners in our group here who ask them what the results of meditation are. I think if you were able to perceive after twelve hours of meditation what these individuals have learned in that period of time, some of you would realize the great discipline which some individuals feel willing to accept upon themselves for their own God Freedom and the Freedom of mankind. "You say, Beloved Ones, that you have served the Light. You speak to me, and you tell me how much you have done for the Light. I tell you, by comparison (and I do not dishonor you when I say it) that there are those upon this planet who, by comparison, what you have done is like a penny candle to the sun. I do not say this, I say again, to shame you, but I say it that you may know that there is much more that you can do. And this is why you can do it. Because the Power of the Presence of God, I AM, is able to expand time, is able expand space, and is able to expand your consciousness, and is able to give you a Victory that is above and beyond human victory."